Mount Shasta and Ash Creek Falls. It is undeniable that Mount Shasta is the polestar of the northstate’s geography. 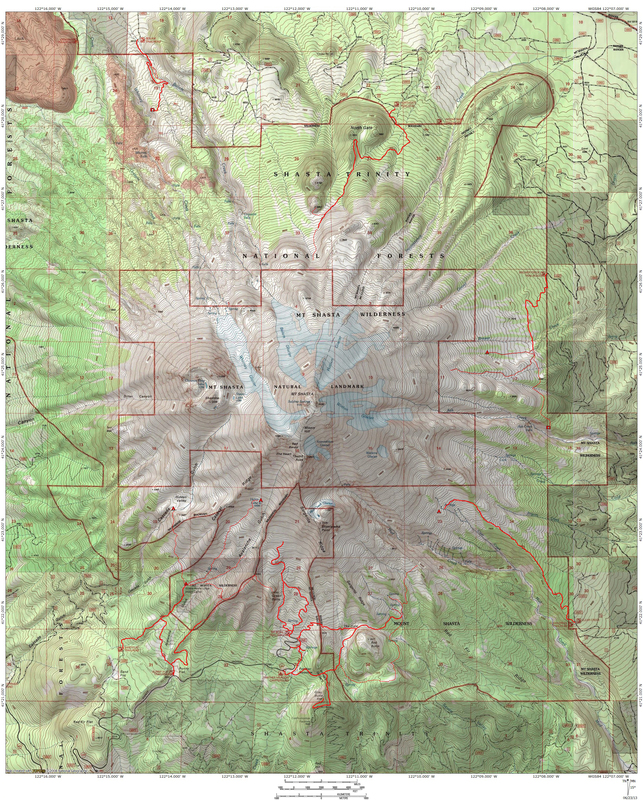 It is roughly at the geographic center of the region and is also centrally located between the Klamath Mountains and the Modoc Plateau, near the crest of the Cascade Range that cuts across the state’s north/south axis. Obviously location is not the extent of the explanation for Mount Shasta’s gravitational pull on the surrounding area. It is simply a massive, spectacular mountain of epic proportions that stands over a mile above the next tallest peak. Such incredible size and beauty naturally offers great hiking opportunities and Mount Shasta does not disappoint when it comes to great trails. 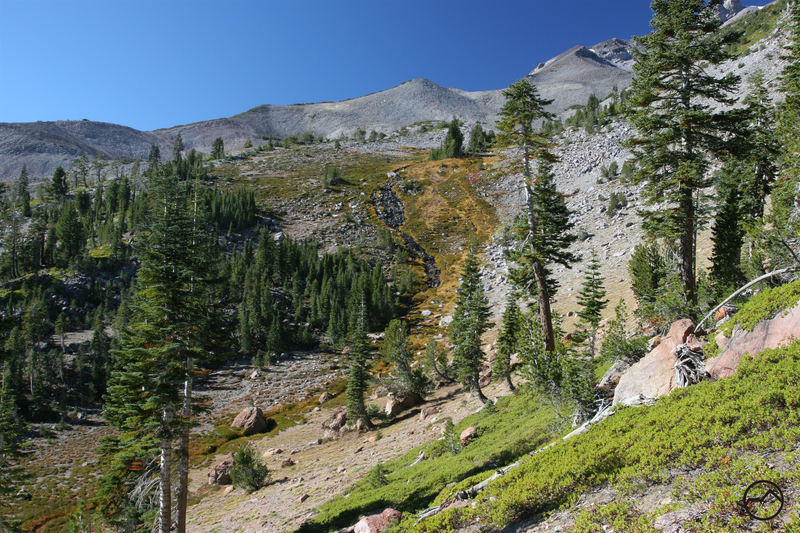 There are 9 established trails on Mount Shasta (of course, there are numerous other unofficial hiking routes) and all of them are very scenic. Glacier-clad Mount Shasta above the Clear Creek Trail. It goes without saying that all of the trails on Mount Shasta offer amazing scenery and are worth hiking. 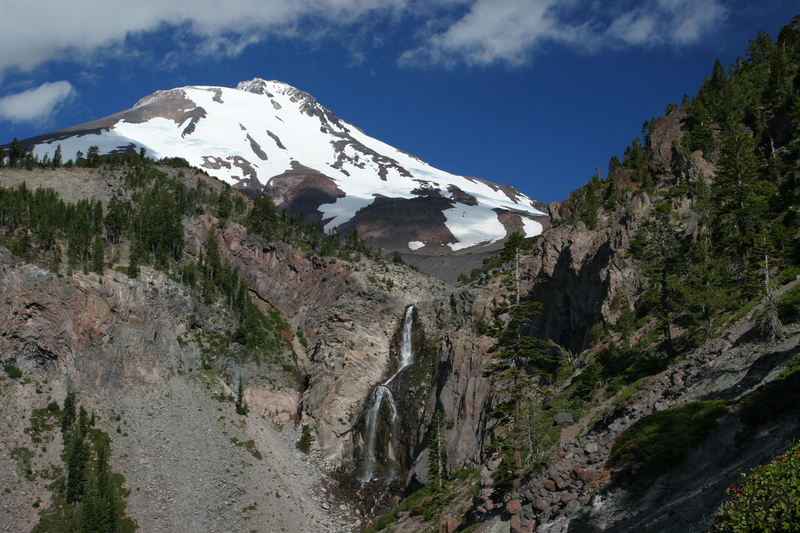 Whether one is looking for meadows, glaciers, waterfalls, far-reaching views, great views of Mount Shasta itself, solitude, or adventure, the trails on the solitary volcano will supply all of these things and satisfy the thirst for the opportunity to enjoy one of nature’s finest achievements. While all the trails are great, there are three that I find rise above the others. Each of them must have diverse, spectacular scenery, the opportunity for lots of cross-country exploration and lead to premier destinations on Mount Shasta. Furthermore, I have an additional set of qualifications a trail must meet in order to rank high on my personal list. Most importantly, a trail has to have running water somewhere along it, preferably in the form of a waterfall. Other important considerations are consistent views (as opposed to being under constant forest canopy) and lots of rock or cliffs along the trail. The large cataract flows through the middle of Squaw Meadow. Most of these elements are present on nearly all of Mount Shasta’s trails to some degree but three trails have these qualities in abundance. 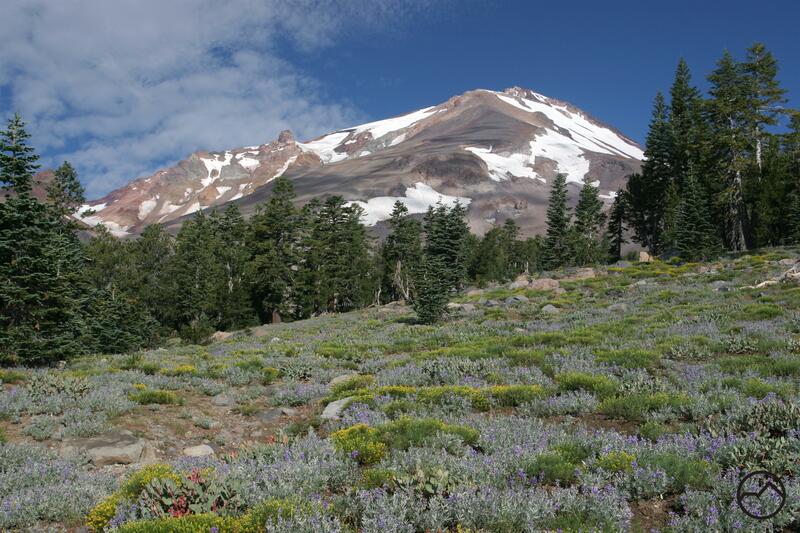 Consequently, these are my three favorite trails on the mountain and the three trails I would most recommend to hikers in search of the optimal Mount Shasta hiking experience. These trails are the Clear Creek Trail, the Brewer Creek Trail and the Squaw Meadow Trail. 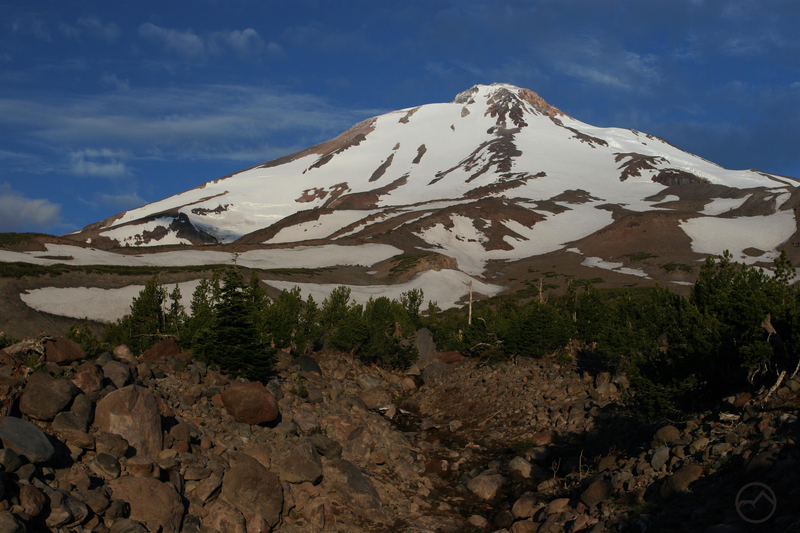 All of these hikes have exceptional views, both of Mount Shasta and the surrounding region. They all have running water and fall and waterfalls in one form or another. Moreover, they all boast beautiful meadows of varying size (though in the case of the Brewer Creek Trail, it is just a narrow margin of grassy meadow along the banks of the creek). None of the trails are hard, rising and falling at a reasonable grade. Lastly, of all the trails on Mount Shasta, these three trails have the best cross-country destinations. If I had to rate these three trails against each other, I would say Clear Creek comes in third, Brewer Creek second and Squaw Meadow would be the top choice. This was not easy for me to determine because each trail is exceptional. Astounding view of Mount Shasta and Mud Creek Canyon. Climbing Mount Shasta’s southeastern slopes, the Clear Creek Trail offers an incredible abundance of superlatives. Essentially a steady ascent along the rim of massive Mud Creek Canyon, the first two-thirds of the trail offers excellent wildflowers and staggering views into the gargantuan canyon, the largest on Mount Shasta. Powerful Mud Creek Falls, dwarfed by the canyon through which it flows, is a highlight. Clear Creek itself tumbles over a long series of cataracts as it rushes to its confluence with Mud Creek. The mighty cone of Mount Shasta dominates the scene overhead. Eventually the trail reaches treeline and enters a massive basin over which hang the Mud Creek, Konwakiton and Watkins Glaciers. A large complex of springs constitutes the headwaters of Clear Creek and creates a series of lovely meadows. Off-trail exploring leads down to Mud Creek Falls, lower Clear Creek or up to the summit of Mount Shasta. Mount Shasta and its glaciers high above Brewer Creek. 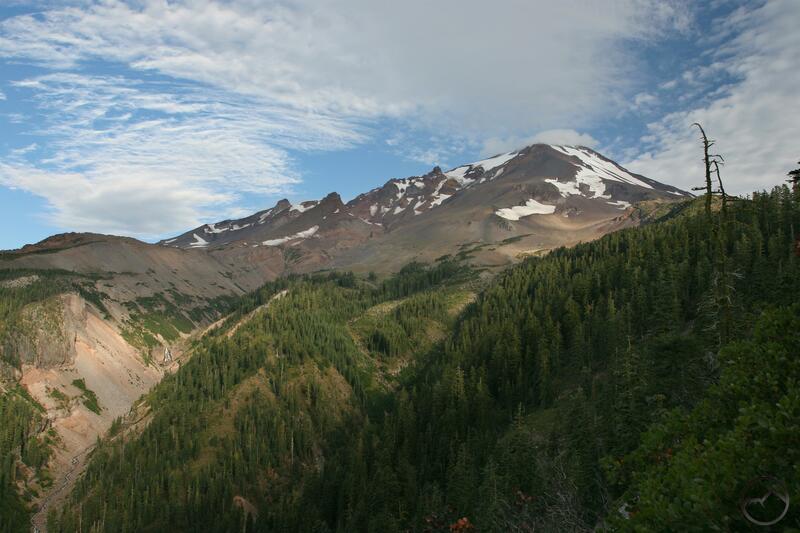 The lonely Brewer Creek Trail is the only path that explores the vast, isolated expanse of Mount Shasta’s eastern flank. The views of Mount Shasta are simply stunning, possibly the best of any single trail on Mount Shasta. This particular perspective of Shasta has a bit of a grander feel than most because the Wintun and Hotlum Glaciers (Mount Shasta and California’s 3rd and 1st largest) are very prominent, with their attendant bergscherunds, icefalls and crevasses. The trail eventually ends at small but beautiful and clear-running Brewer Creek, where the small fringe of meadow and diminutive cataracts create a lush environment seemingly out of place in the barren volcanic landscape. Those looking for more adventure and make the off-trail trip to gorgeous Ash Creek Falls. The creek is outflow from the Wintun Glacier and passes through a starkly beautiful canyon before pouring 330 feet over a lip of hard, erosion-resistant rock. Mount Shasta, presiding overhead makes the scene utterly unforgettable. 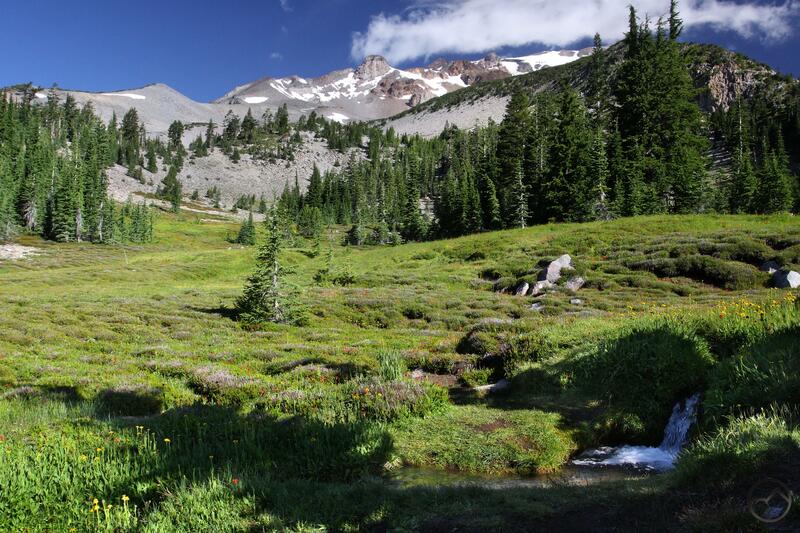 Views of the southernmost Cascade, including Lassen Peak are just icing on the cake. Ash Creek Falls is my personal favorite spot on Mount Shasta. Perhaps the most diverse trail on Mount Shasta, the trail to Squaw Meadow provides the rare opportunity to enjoy a loop on Mount Shasta. Beginning in lovely Panther Meadow, the trail climbs through excellent old-growth red fir forest before breaking out into incredibly barren volcanic terrain with great views of Mount Shasta and Red Butte. A side trail leads to the summit of Gray Butte and incredible views while a cross-country route makes a great circumnavigation of Red Butte. After passing through the Gate, a narrow gap between Sargents Ridge and Red Butte, the trail eventually arrives at the bottom of Squaw Meadow, the largest meadow on Mount Shasta. It is a stunning view with Shastarama Point dominating the horizon beyond the meadow. A massive 100 foot cataract divides the lower section of the meadow from the upper section and the headwaters springs. Views to the south from the upper meadow include the southern Cascades and Lassen Peak. Numerous cross-country routes provide lots of interesting exploration. The best is to head east from the meadow to the rim of Mud Creek Canyon where one can observe Konwakiton Falls. On the return trip, the loop breaks away just after passing through the gate and climbs through small Hummingbird Meadow to a ridge above the Old Ski Bowl. More excellent views of Mount Shasta are abundant, as is the spectacular vista to the west, including the Trinity Divide and the serrated peaks of the Trinity Alps. The trail then descends through the Old Ski Bowl and then drops down to Panther Meadow, completing the spectacular loop.